AspDotNetStorefront is an easy way to get your eCommerce store up and running, but unfortunately there is no easy way to export your AspDotNetStorefront products to Google Shopping. 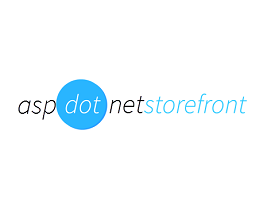 We’ve Built a Powerful Way to Get AspDotNetStorefront Products Exported to Google Shopping! AspDotNetStorefront is a great eCommerce platform, but not very easy to get a feed onto Google Shopping. AspDotNetStorefront does not natively support color and size variations through feeds, which are critical and sometimes even required for exports to Google Shopping, especially for verticals like Clothing and Apparel. With Feedonomics you can easily create a Google Shopping feed dynamically from AspDotNetStorefront that can extract information from other fields to populate fields like color or size that cannot be done within AspDotNetStorefront. Such automated extraction is manually reviewed and improved to make sure your feed is optimized to its best with Feedonomics. If you’red tired of export your AspDotNetStorefront feed manually, which is incredibly tedious and time consuming, try Feedonomics, where you can easily create a Google Shopping feed dynamically regardless of how many products are in your inventory and how many products you wish to modify.